Online marketing techniques and strategies have become crucial to business success of late. With the virtual space emerging as the new marketplace, making an emphatic online presence is the key to cutting-edge competition. Irrespective of whether you’re selling branded products like HP inkjet cartridges or even a service, online advertising is the need of the hour; several options are available to choose from. You need to choose as per your suitability and the scale at which you are looking to showcase your products or services. The sole aim behind every marketing strategy is to drive traffic. This is the only way of ensuring adequate exposure. For instance, you might be offering great deals on laser toner cartridges; however, if nobody is visiting your website, the deals are as good as nonexistent. Search Engine Optimization: SEO incorporates the usage of keywords for improving search engine rankings. You would ideally need your website to be churned out among the options showcased on the very first page of the search engine. For this, relevant keywords would have to be inserted into the article body. Nowadays, net surfers are resorting to highly specific keywords for search purposes. This has helped SEO strategies to gain prominence. Pay-per-Click Advertising: PPC is one of the easiest and most cost-effective options available for online marketing. So, if you are selling Canon cartridges, you simply create an advertisement for the product and subsequently decide how much to spend on it. Thereafter, you place these ads on the sponsored pages churned out by search engines. Surfers who view a particular page will also view the advertisement. You are liable to pay only when a prospective customer chooses to click on a particular advertisement. No clicks means no pay. Social Marketing: With the presence of quite a few social networking sites that are increasingly becoming popular, social marketing has emerged as a popular trend these days. Social online marketing is highly preferred because the target customers are involved in the marketing conversation or communication process. They are engaged in opinion sharing. Presence across all social networking sites of repute can ensure an enhanced web presence for online businesses. Affiliates: Creating an affiliate network would be one of the most suitable ways for ensuring prominent online presence. You could also seek professional help to determine the best list of affiliates possible. Subsequently, your products and services could be showcased on their websites. Affiliate networks are also preferred because they provide immense value for money. 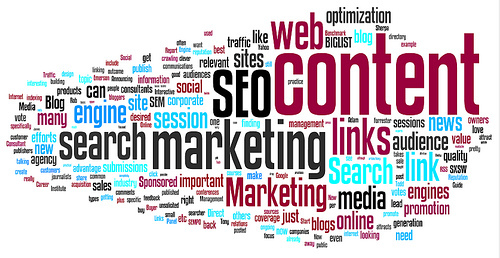 Other forms of online marketing could include article marketing, back links, and so on. Remember, when you create an online advertisement, the content of the ad is equally important. For example, if you are selling printer ink cartridges, you would have to create content that’s relevant to your product and would also be able to strike the right chord with a prospective customer. Where Should I Recycle My Old Cartridges? How To Start Selling Online?